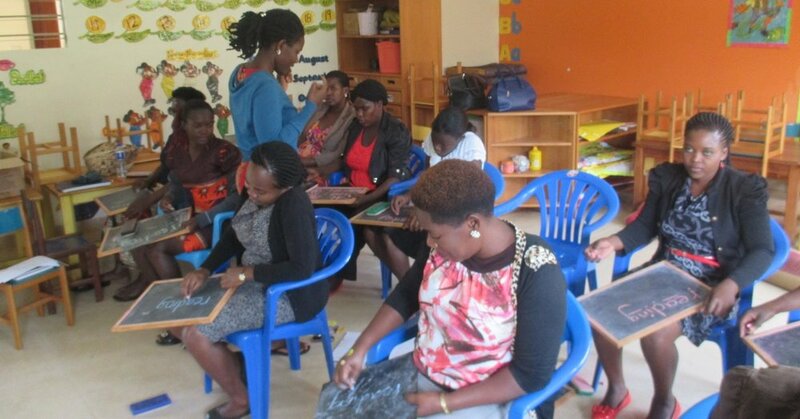 "While improving pupil literacy outcomes is our goal, we focus our work on training and supporting teachers to change the story of Ugandan schools." When we first begin working with a school, we introduce teachers to phonics through our Basic Training. This training is comprised of 3 afternoons where we introduce teachers to our Fun of Phonics program and teach all of the sounds. Basic Training also includes practice teaching a phonics lesson as well as teaching strategies. After teachers complete the initial training, we give them about a month to put what they’ve learned into action and then invite them for another workshop focused on planning a high quality phonics lesson plan with a variety of engaging activities. Training is only the beginning! Once a school has been welcomed into the Fun of Phonics program, it is our goal to support teachers through regular school visits and observations. We love to see teachers putting the Fun of Phonics program into action and we find that the best way to help teachers develop their practice is through giving on the spot, quality feedback. A teacher creating Phonemic Awareness with her new puppet. One comment we consistently get during our trainings is: “Time is not enough!” We find this to be true, too, and so we regularly hold “Top Up’ trainings where we are able to revise sounds (especially trickier Set 2 and Set 3 sounds) as well as introduce other relevant literacy topics.